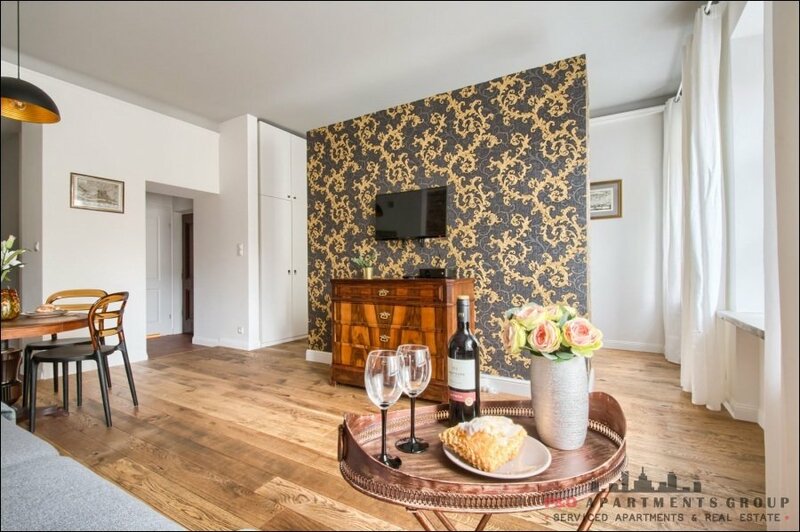 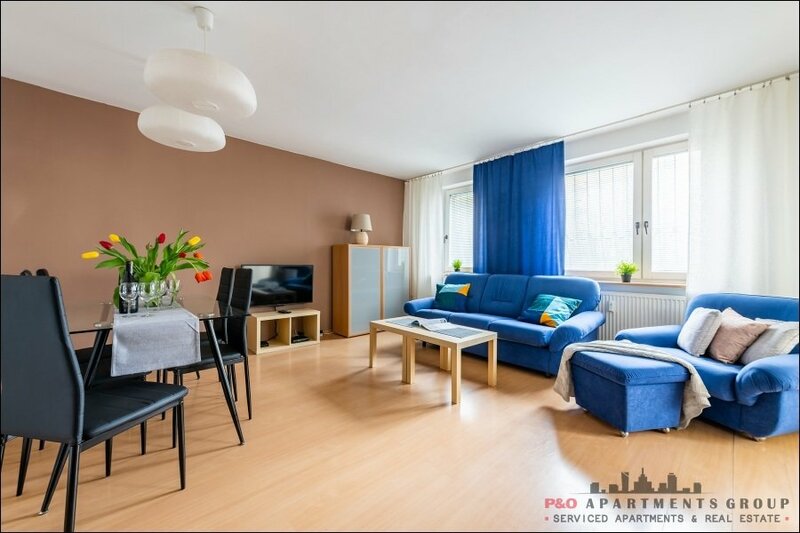 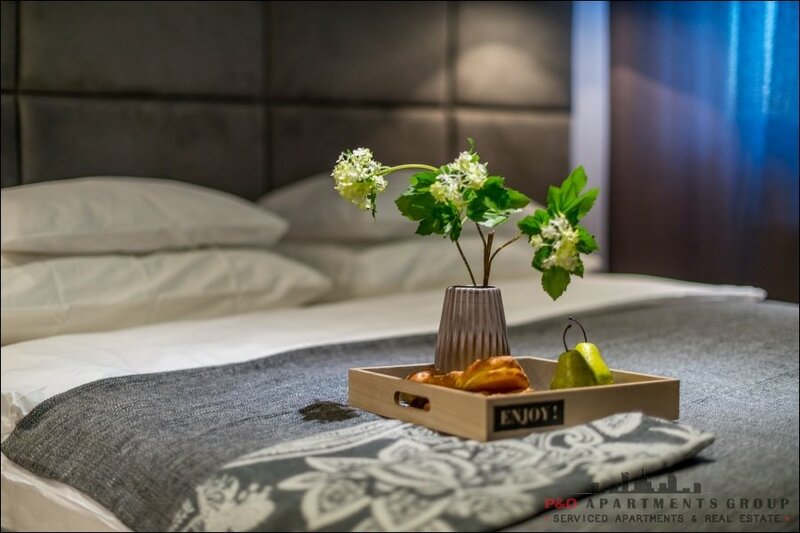 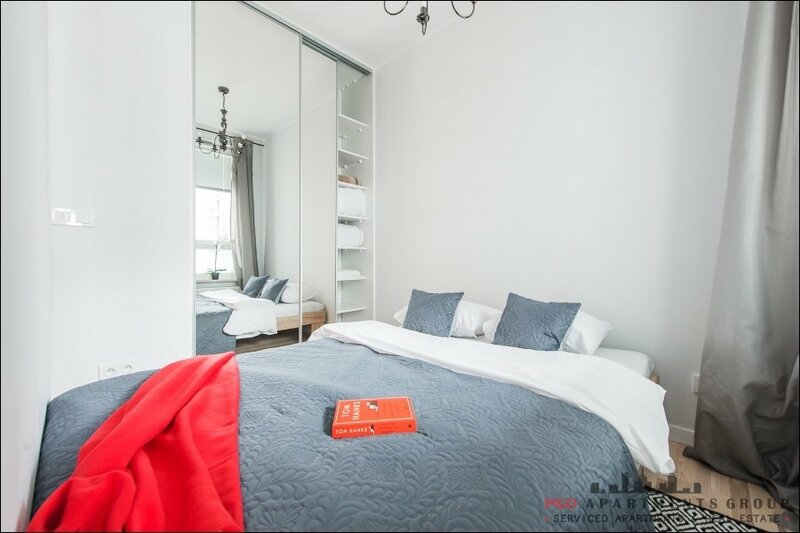 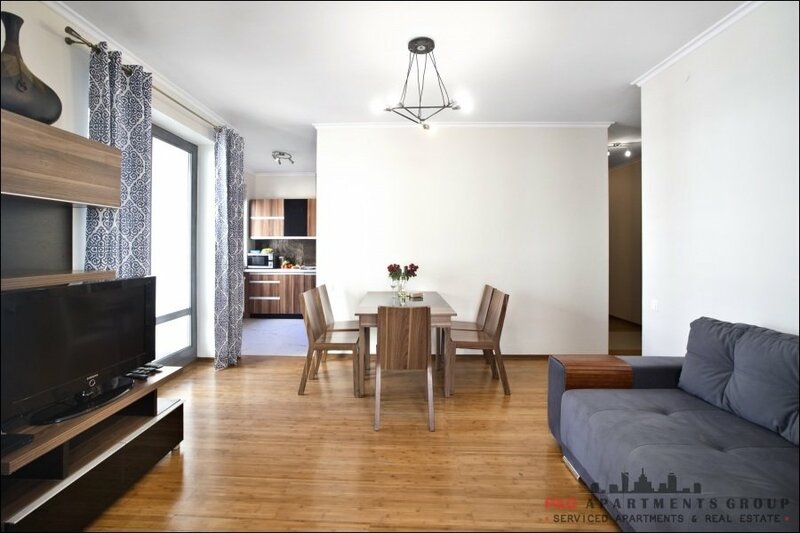 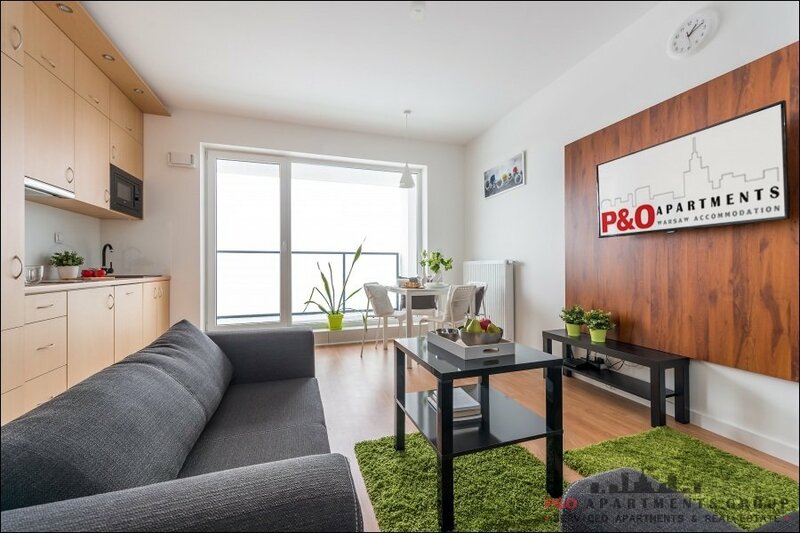 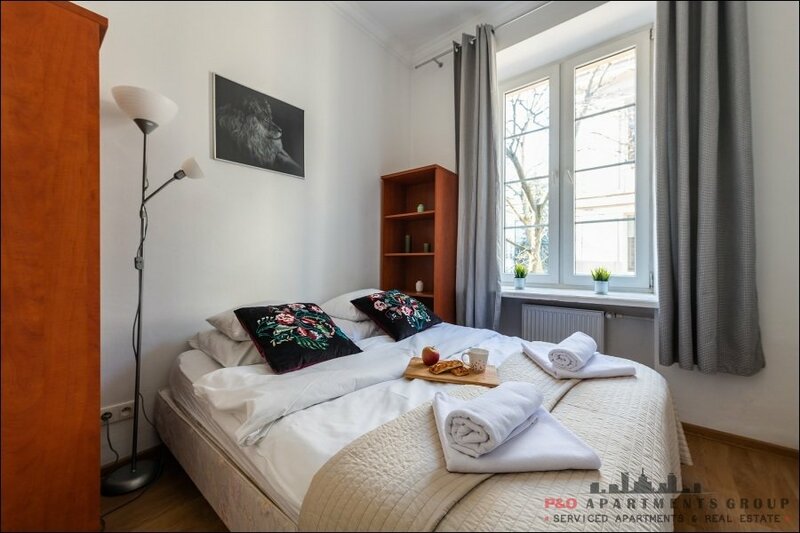 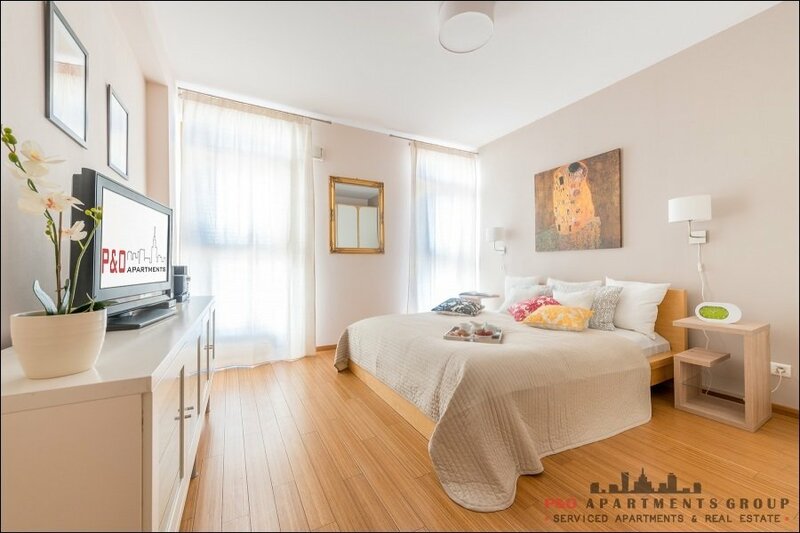 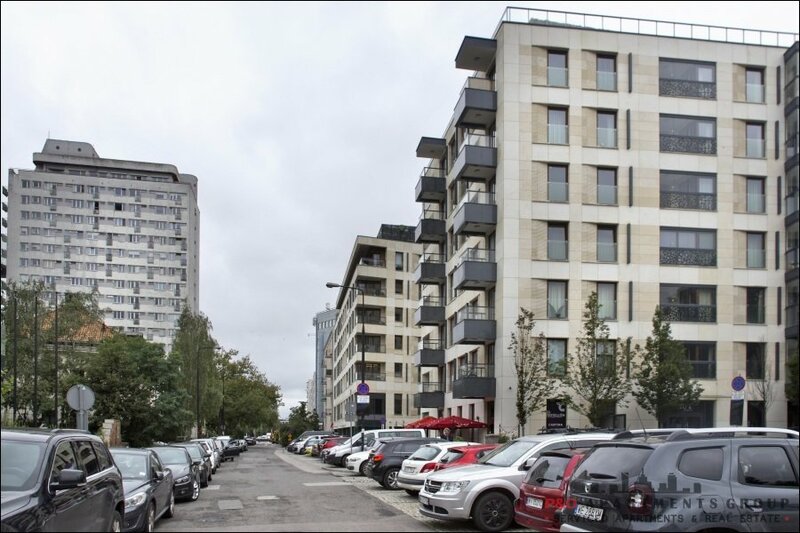 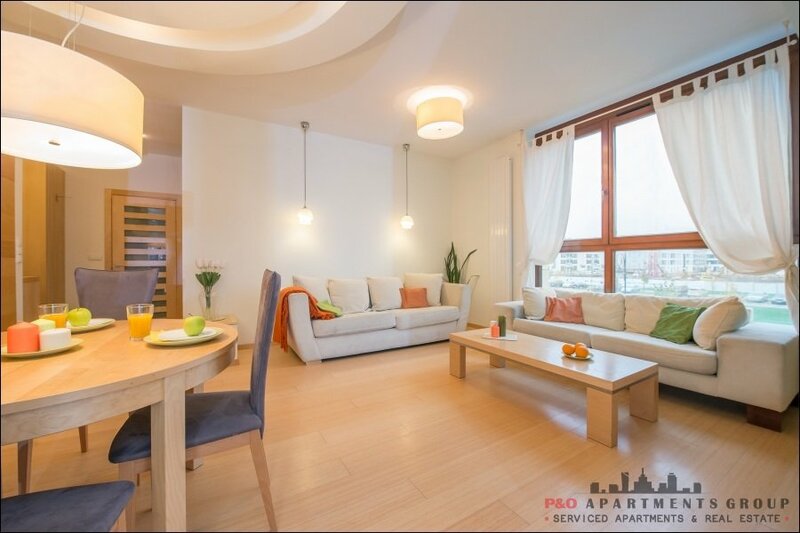 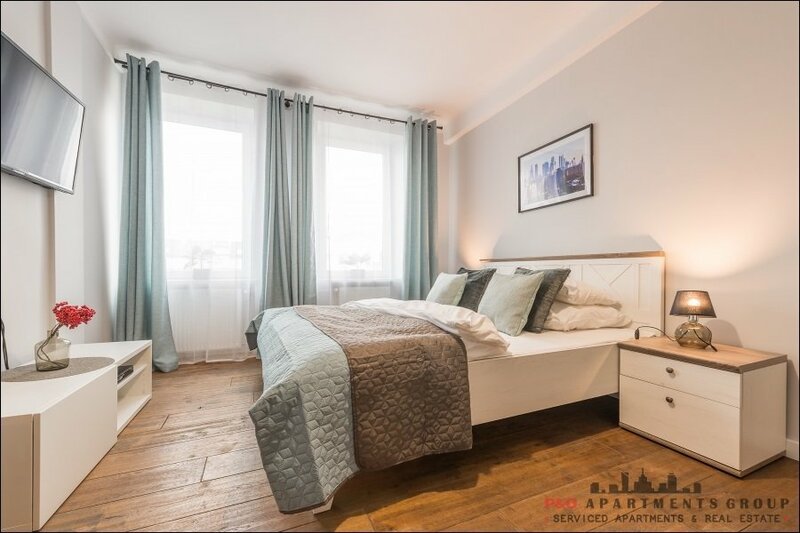 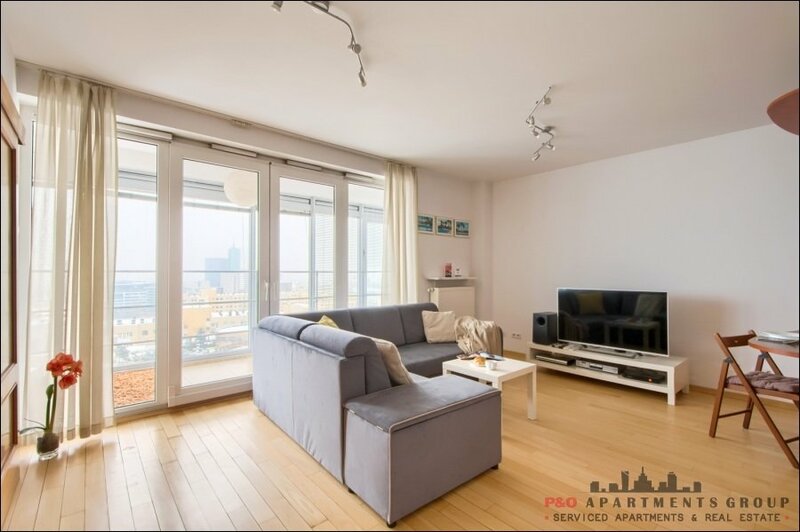 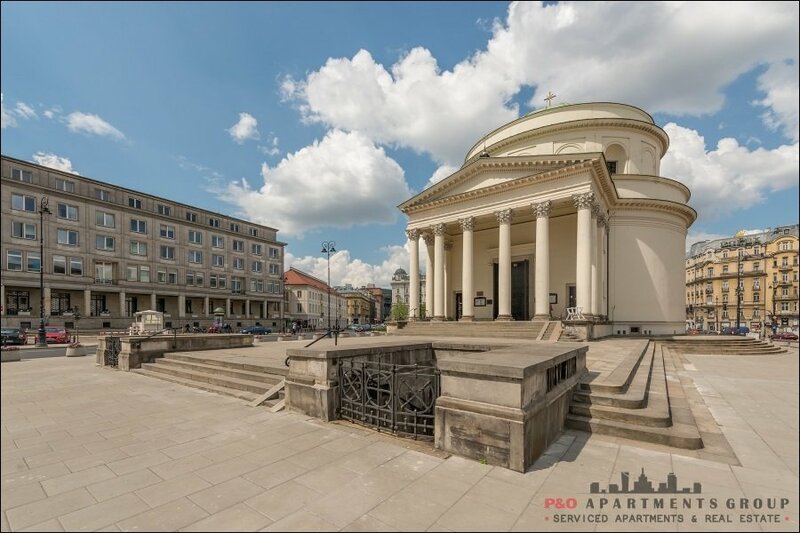 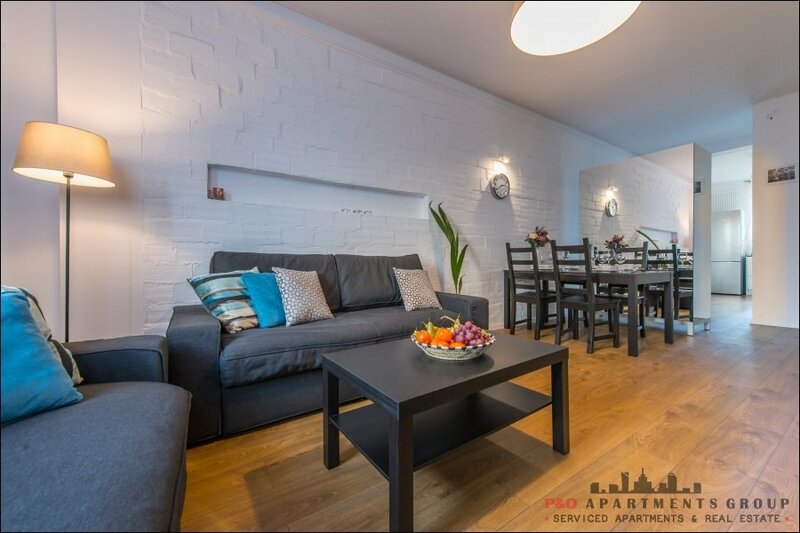 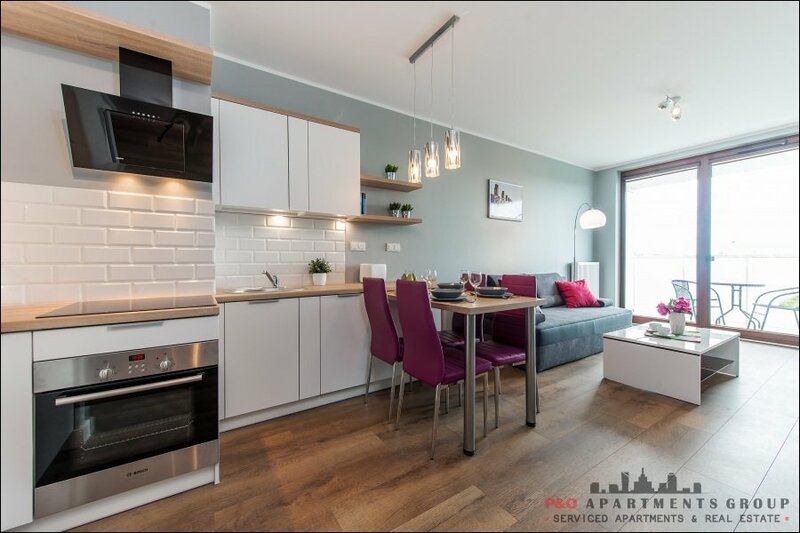 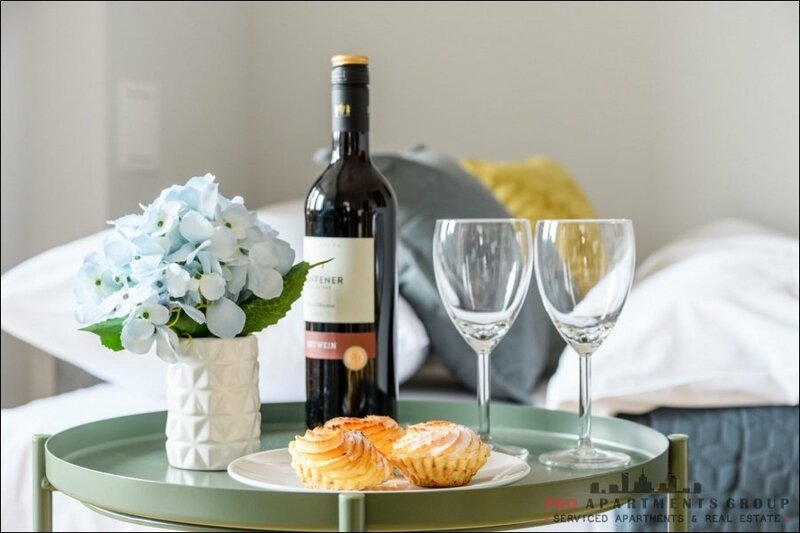 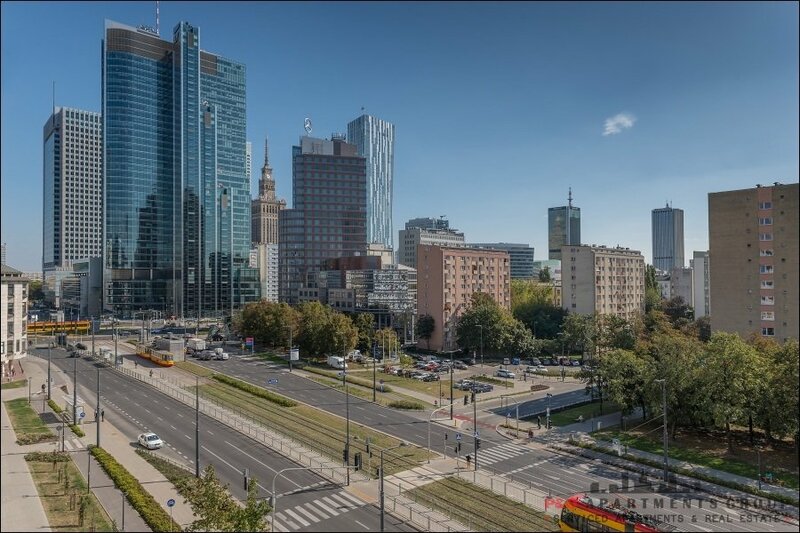 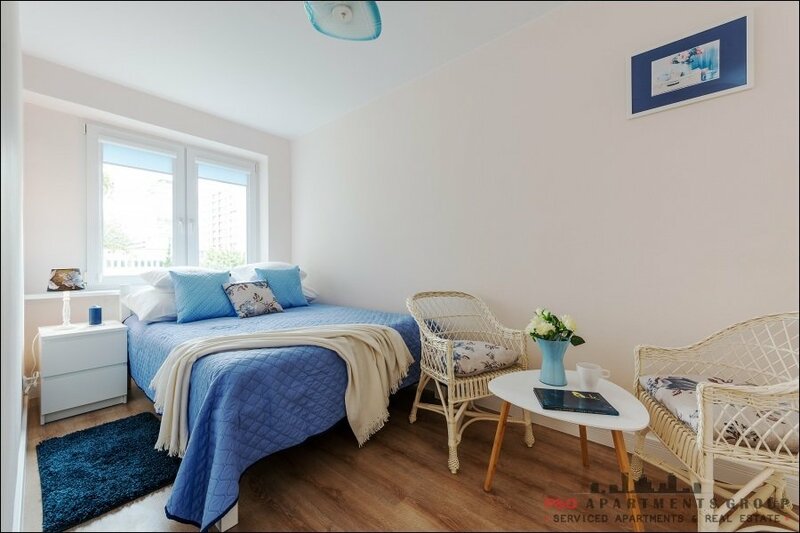 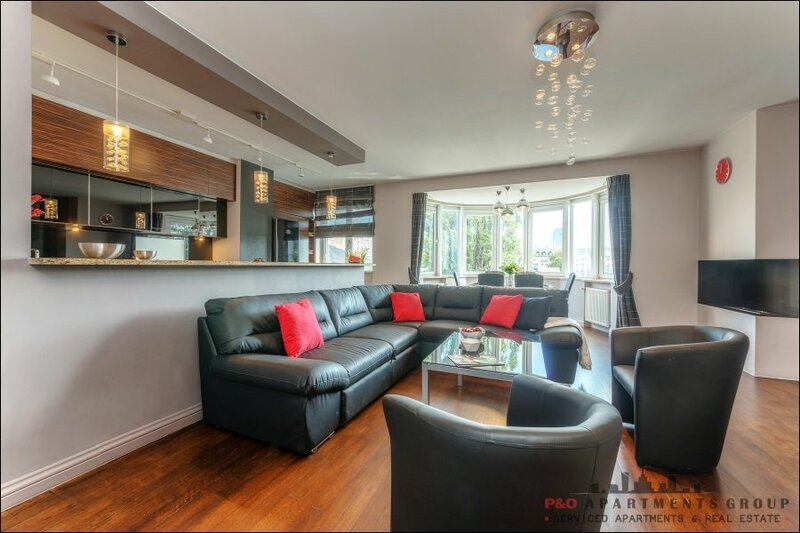 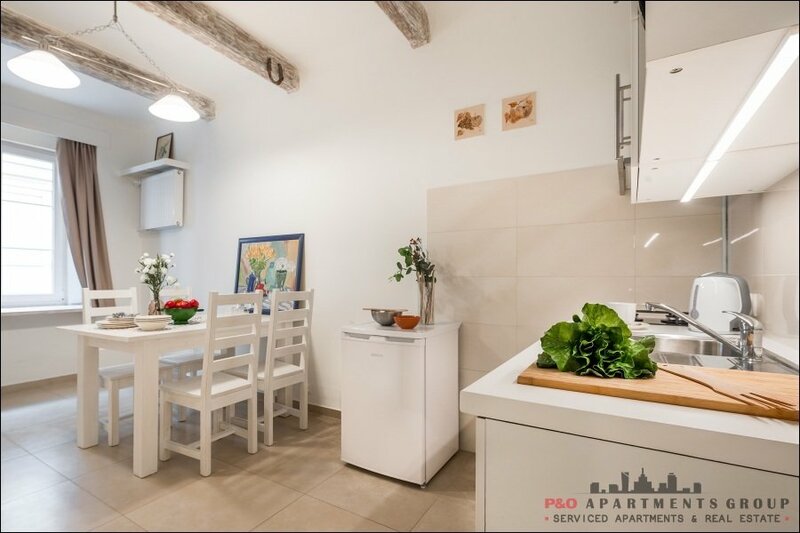 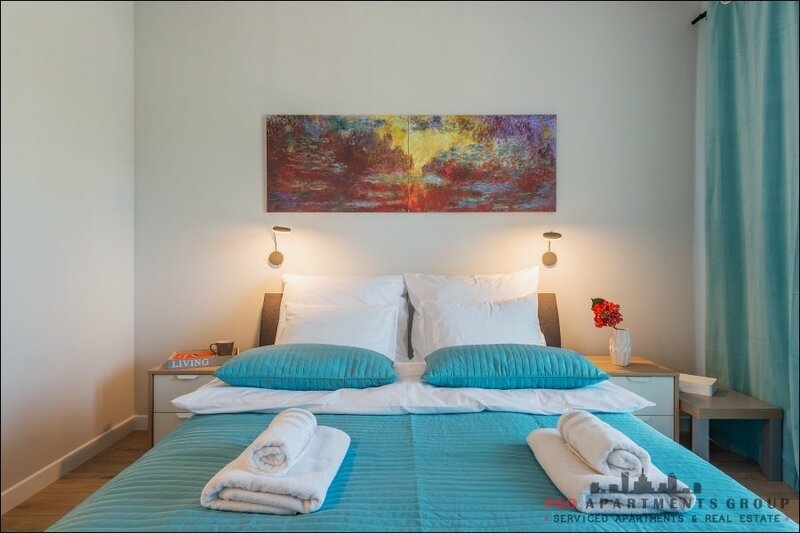 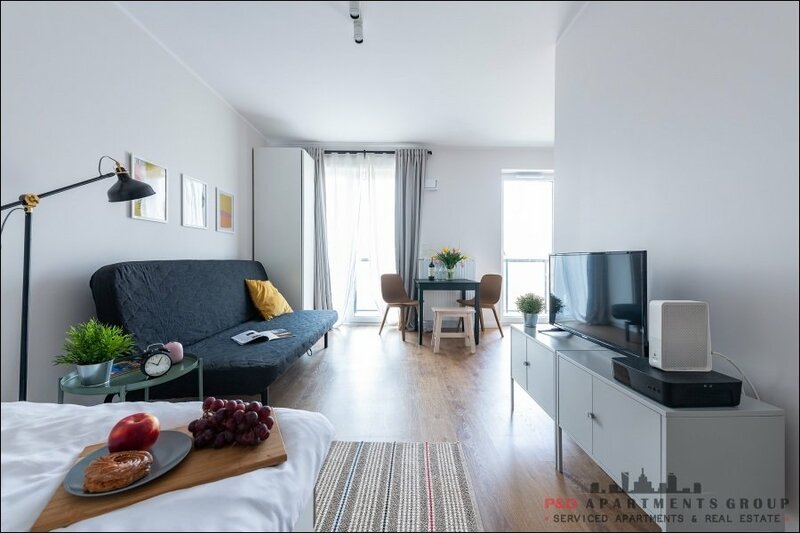 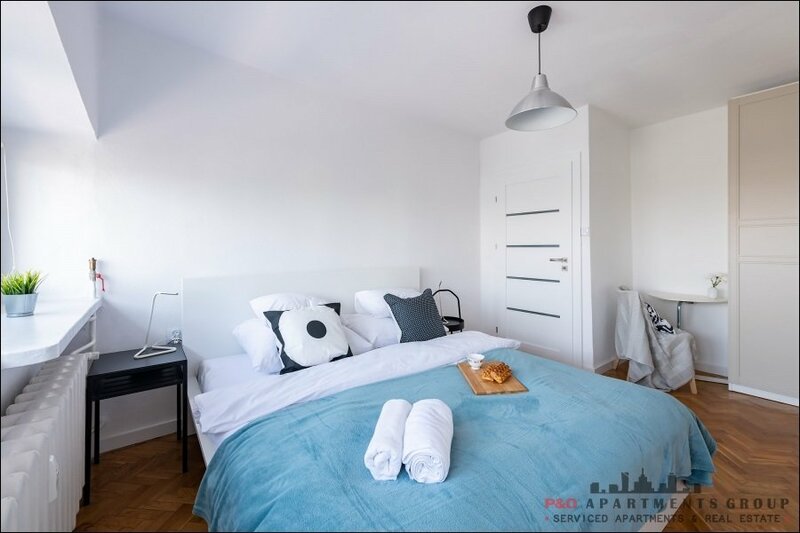 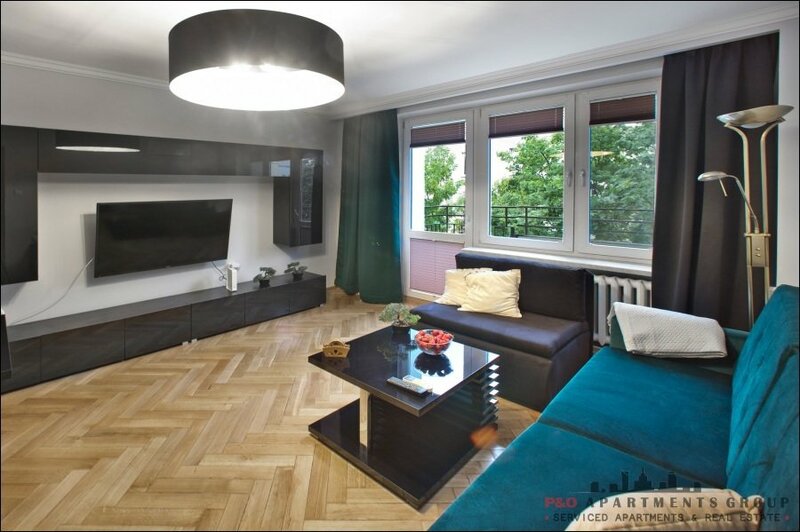 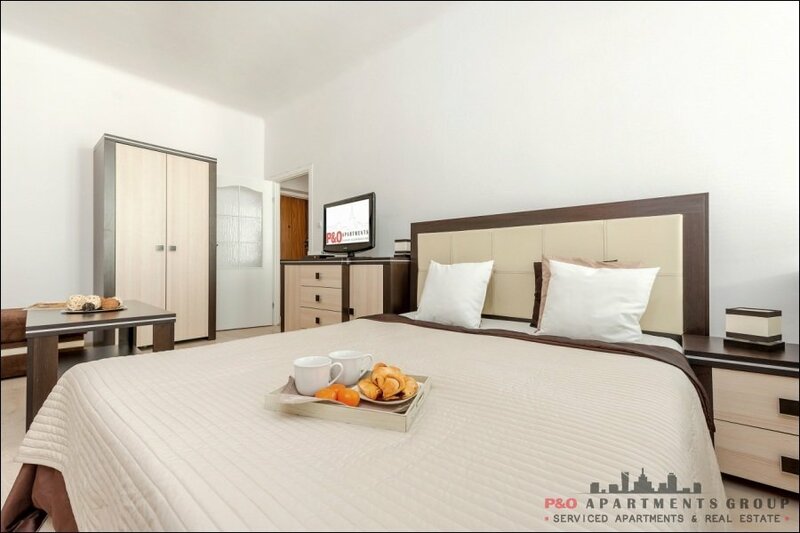 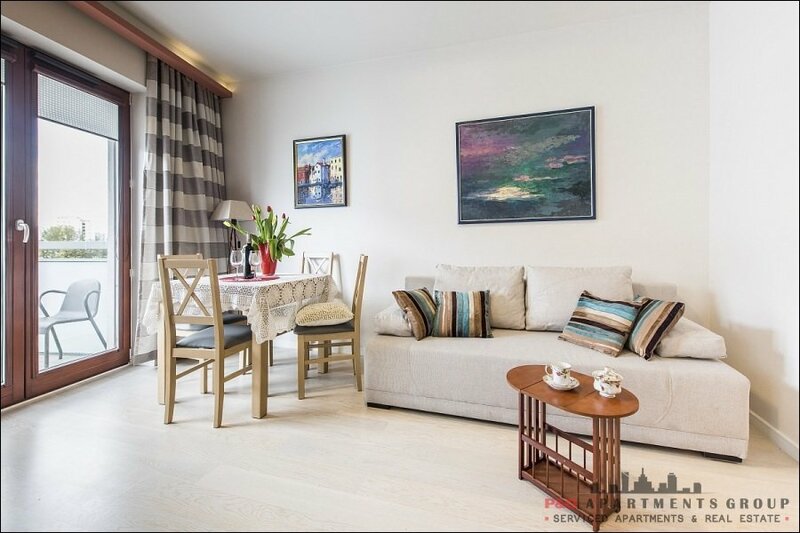 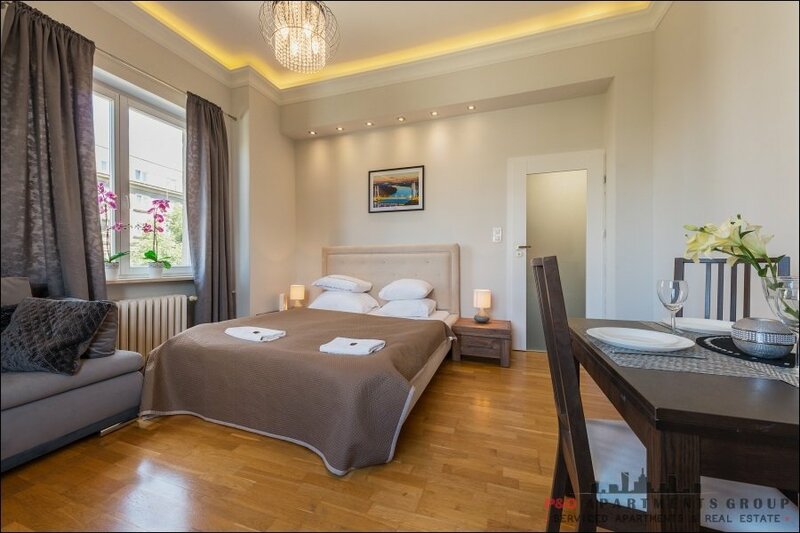 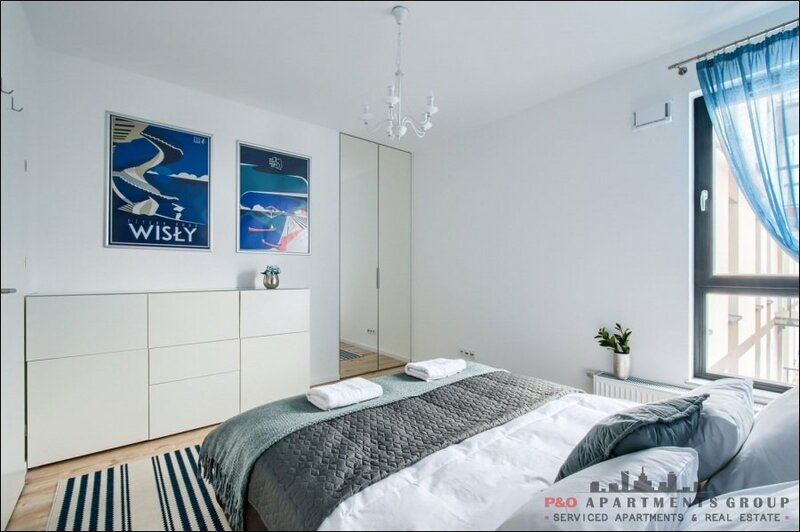 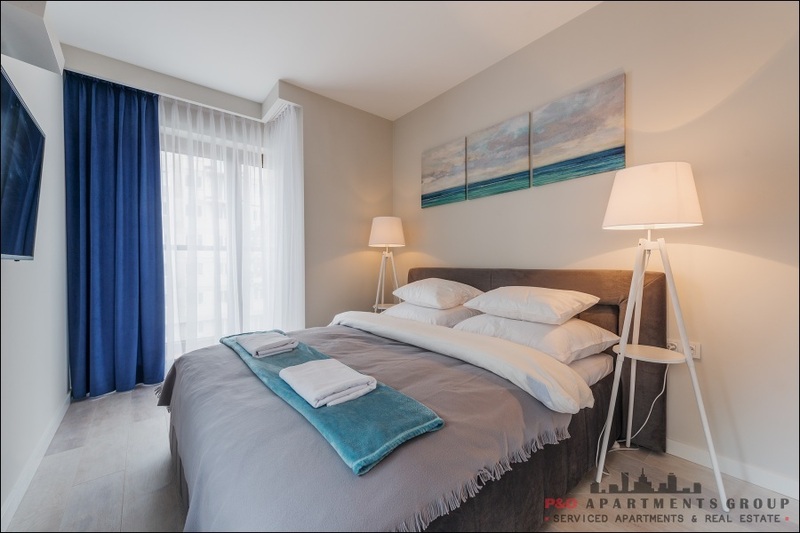 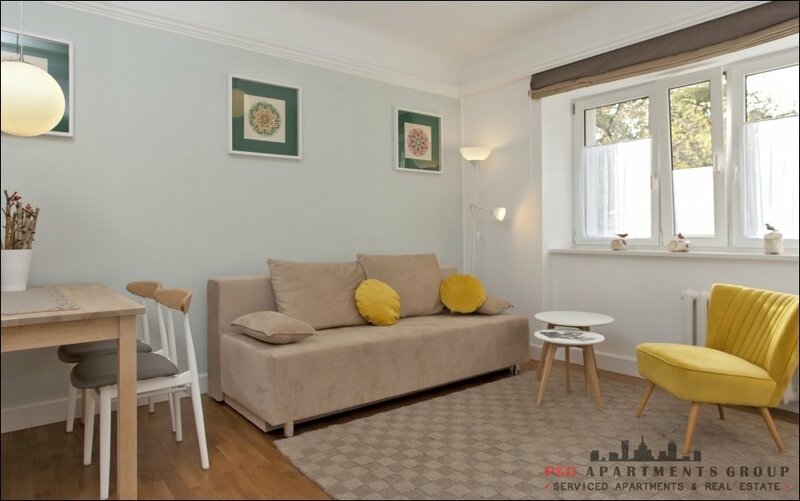 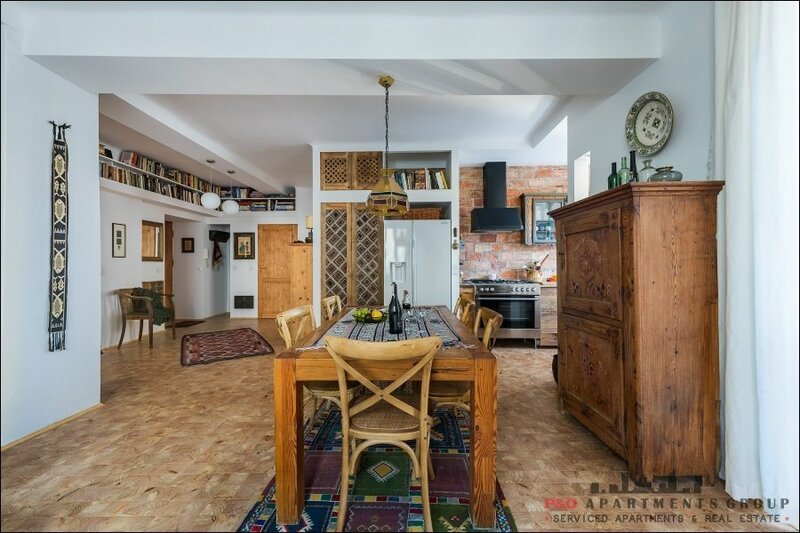 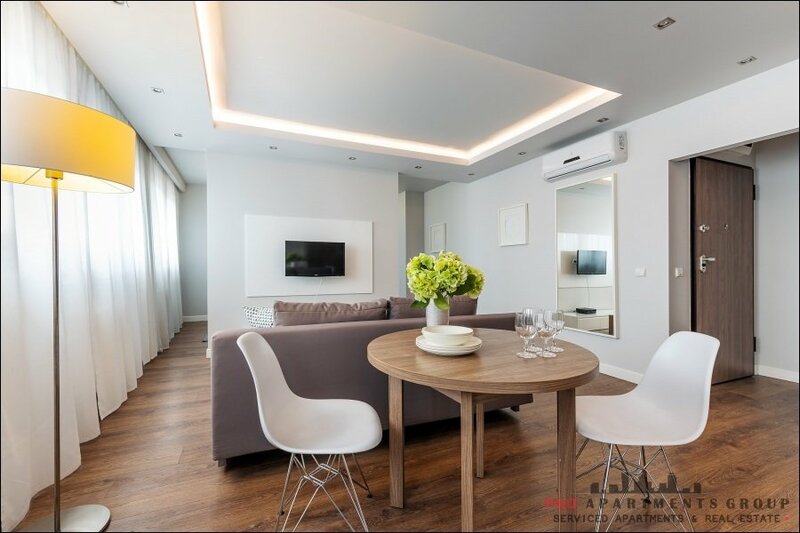 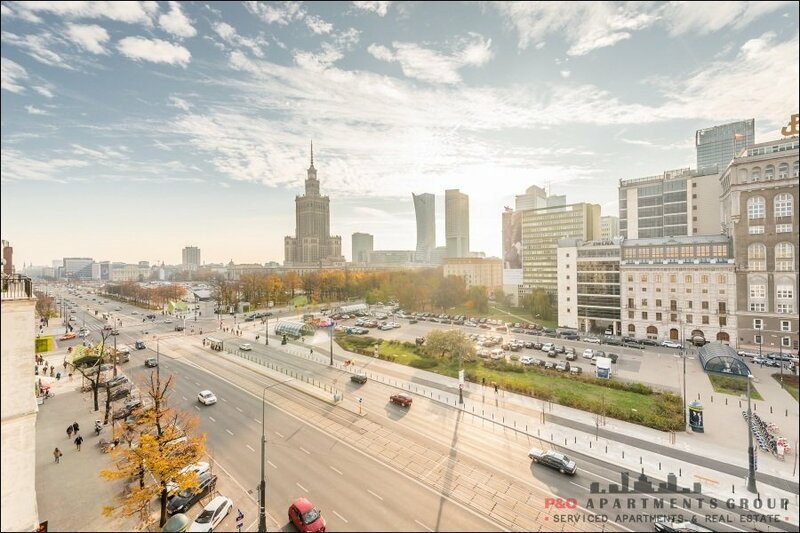 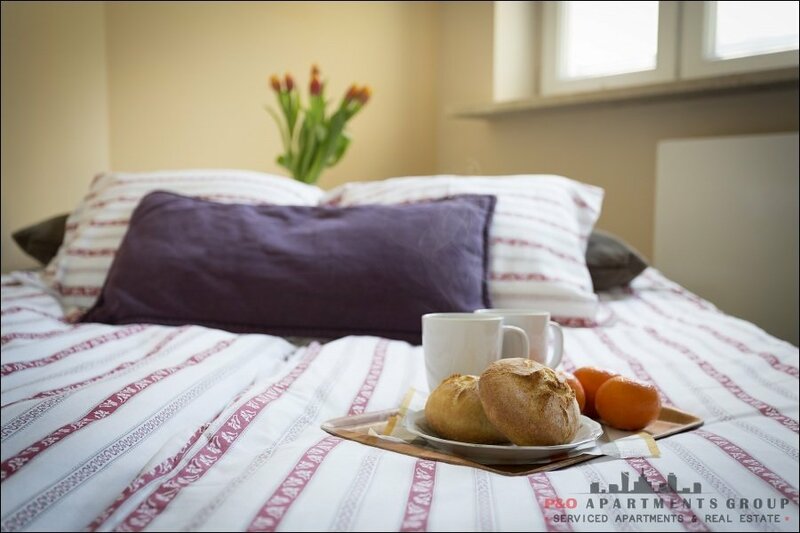 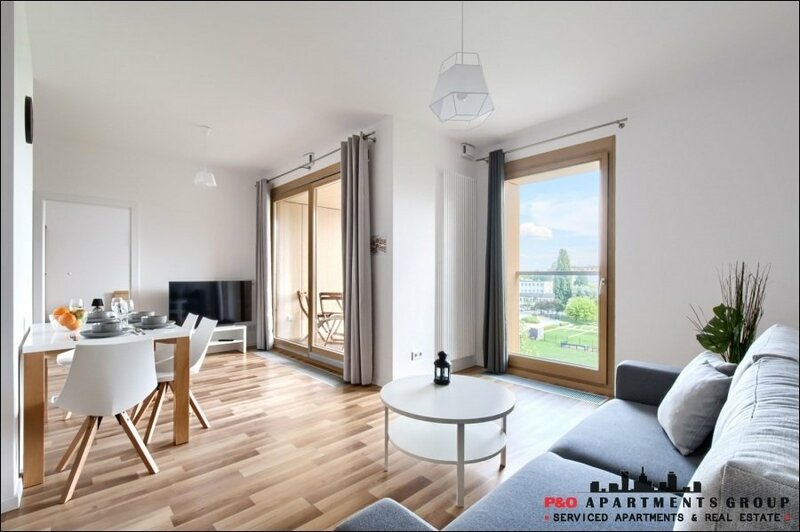 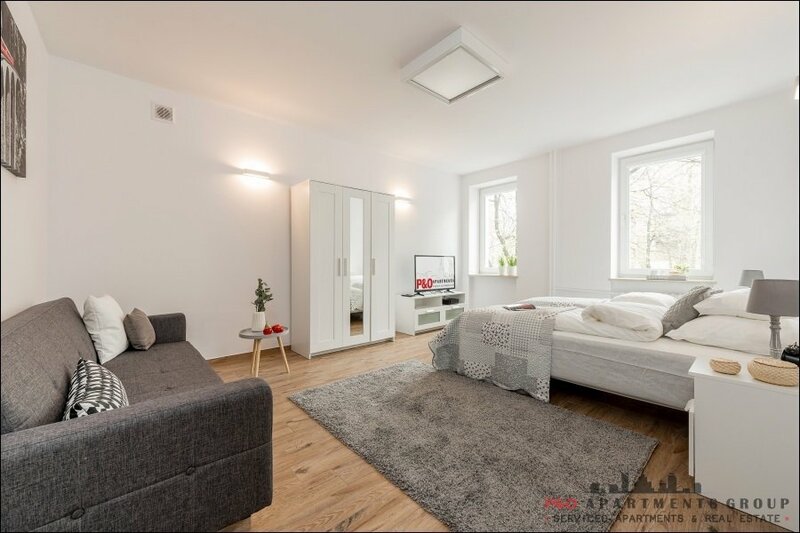 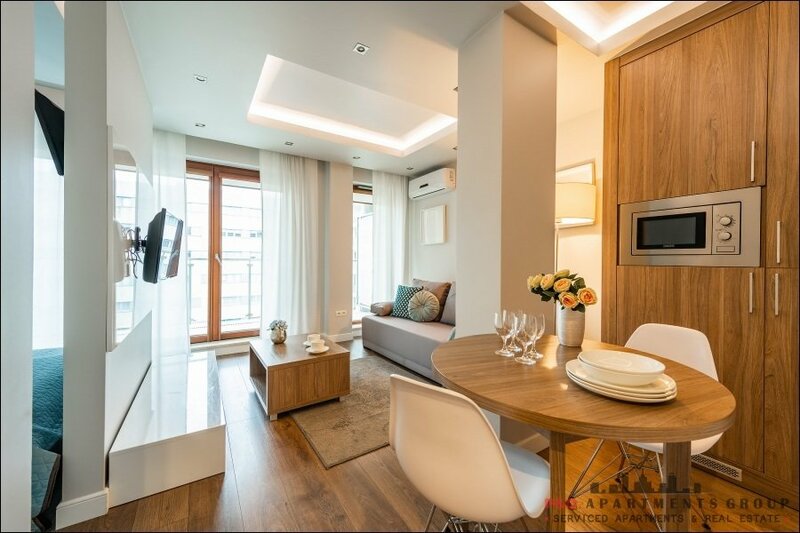 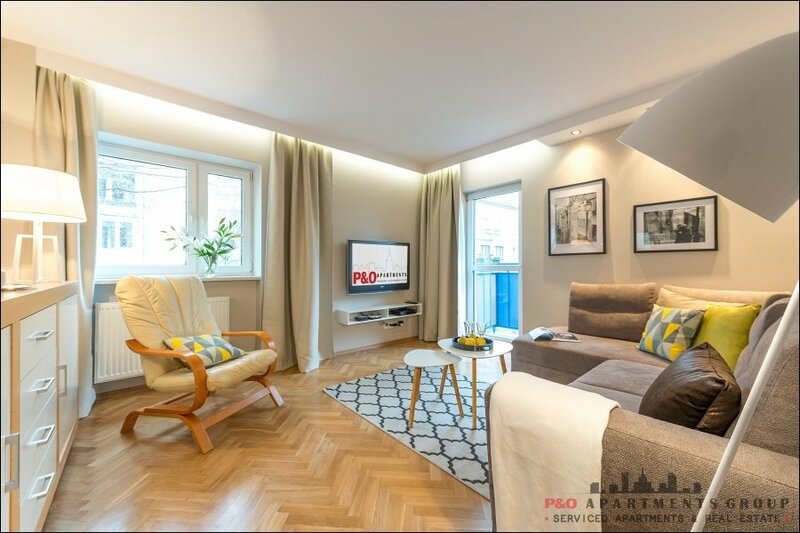 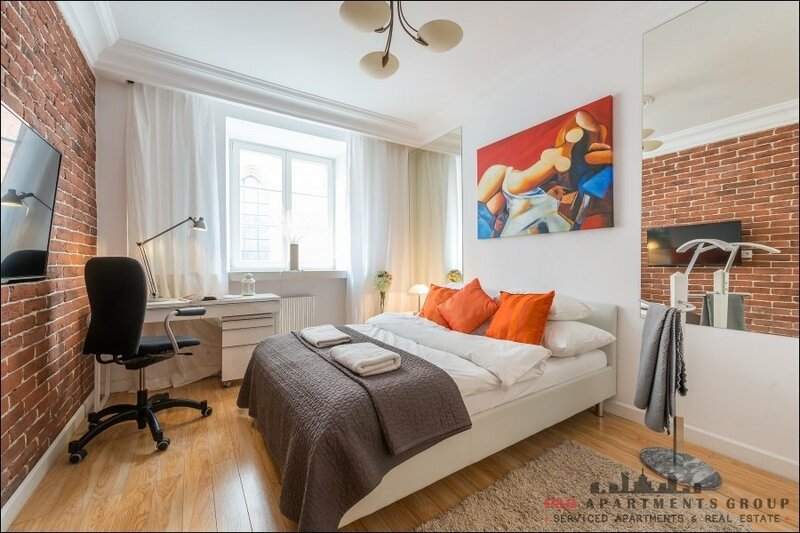 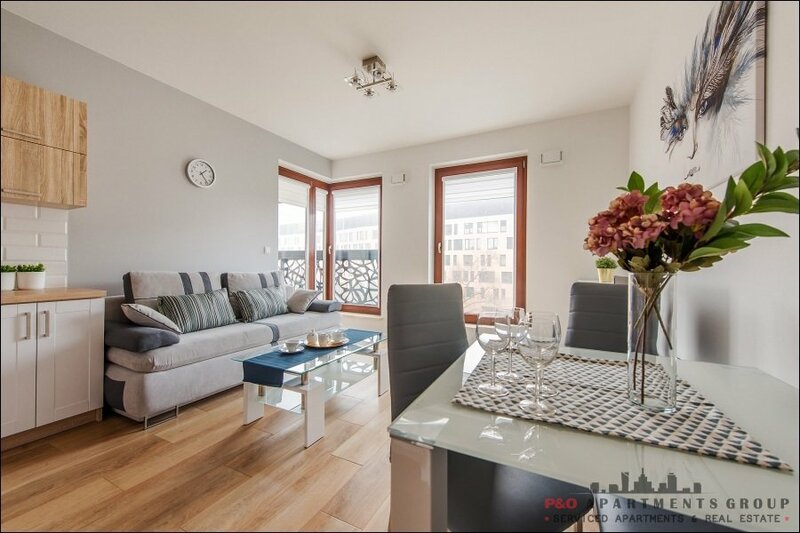 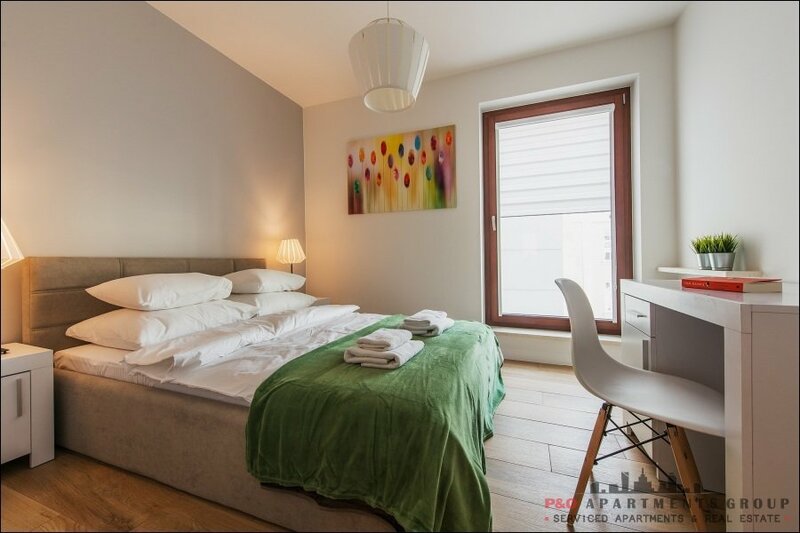 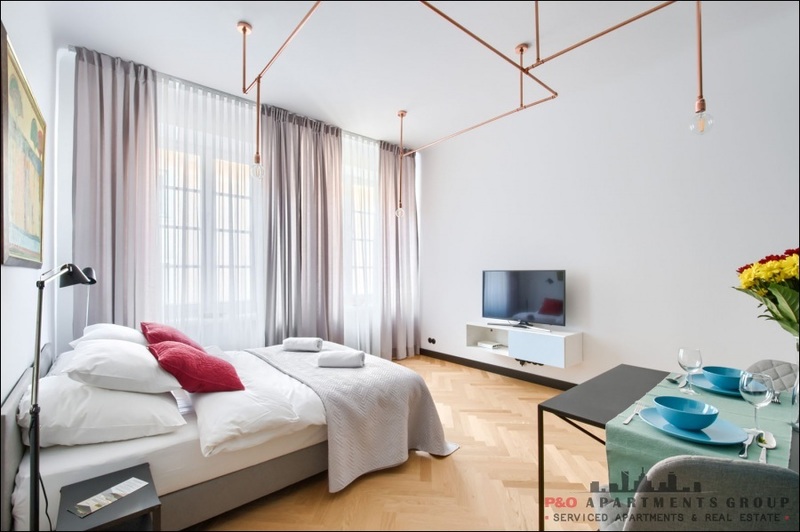 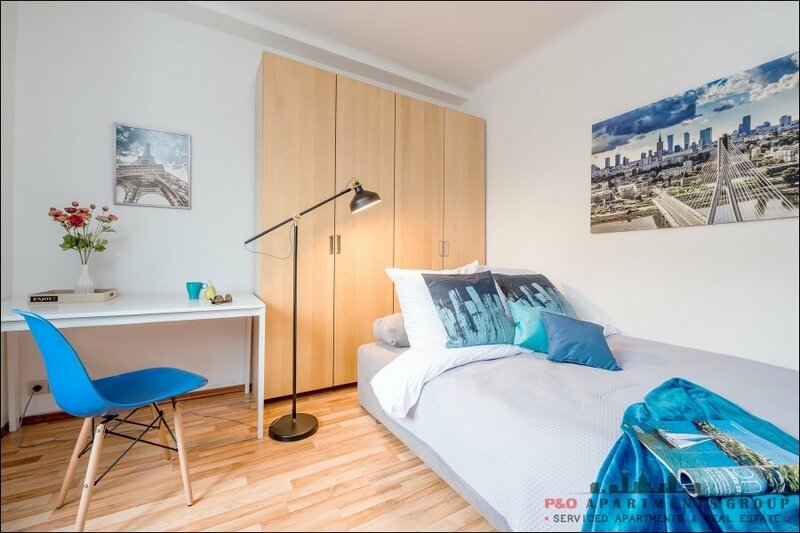 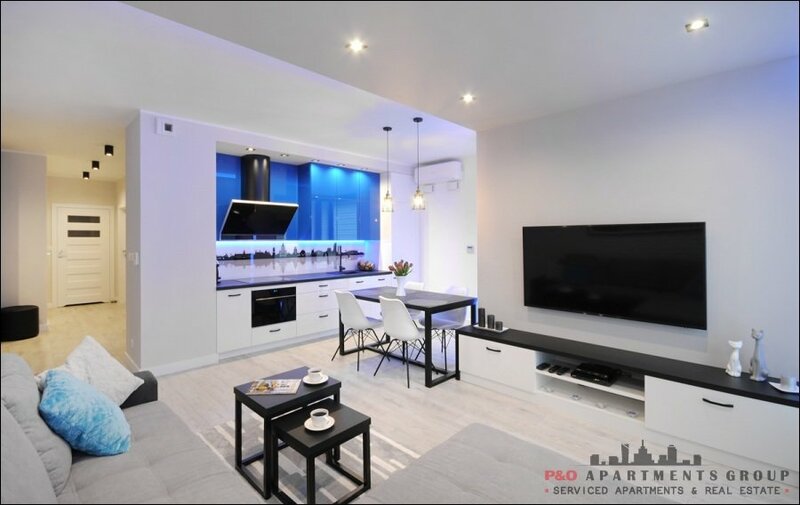 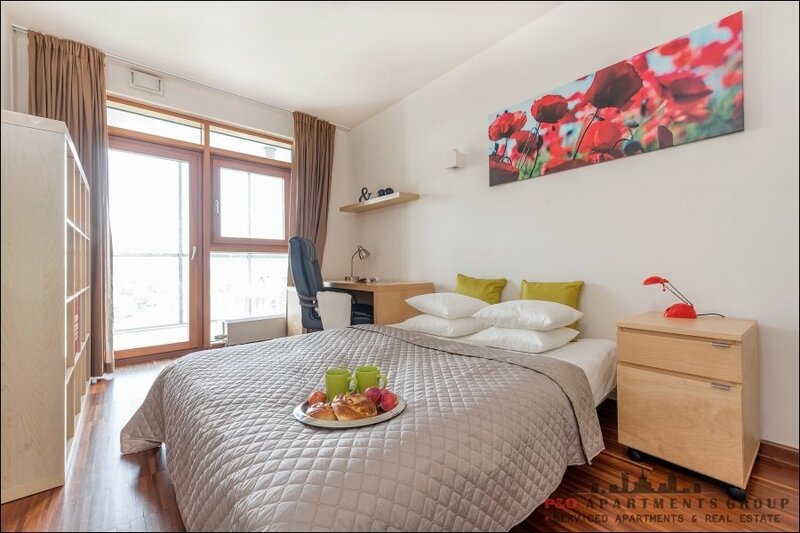 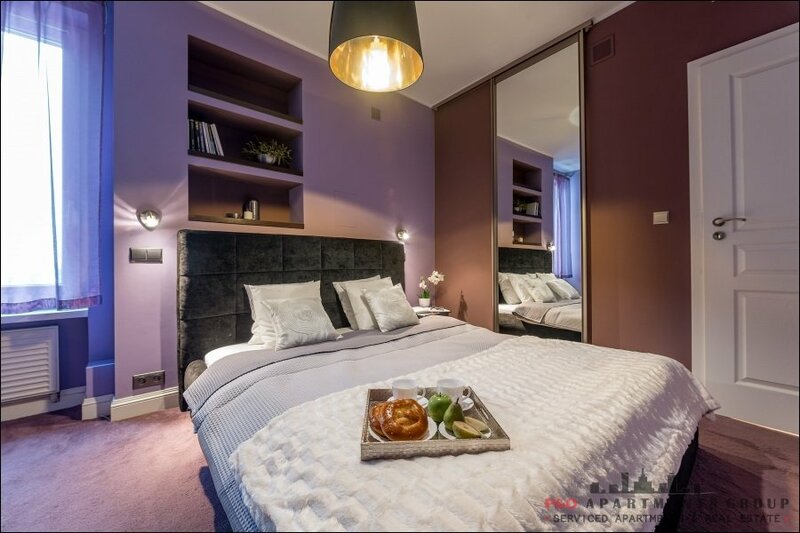 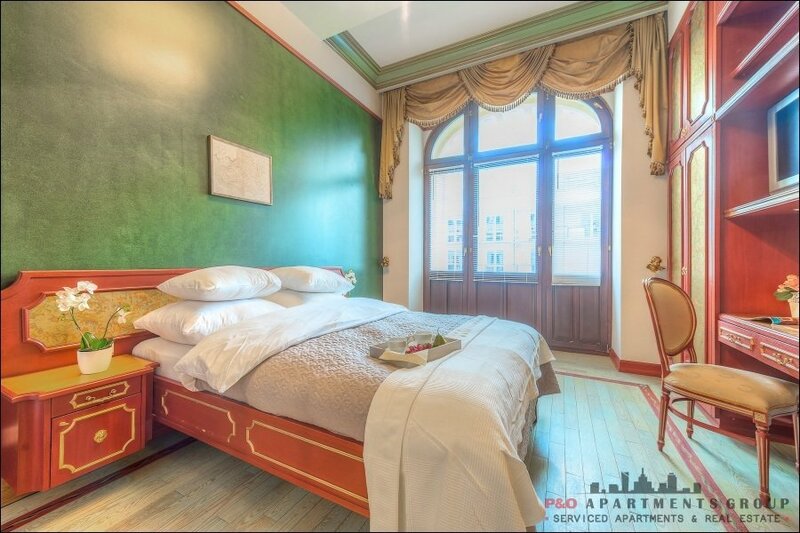 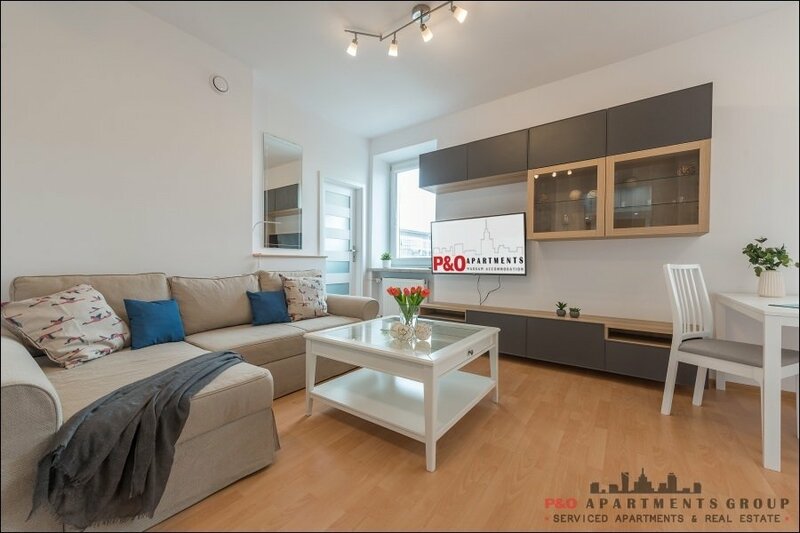 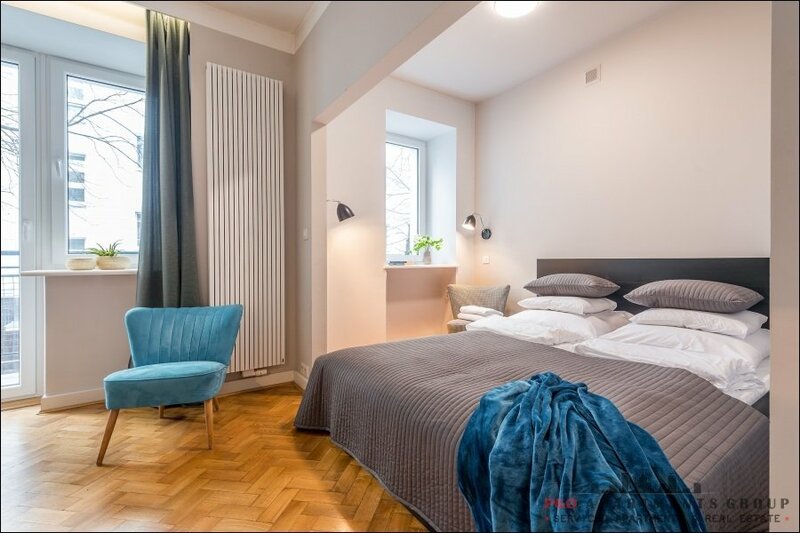 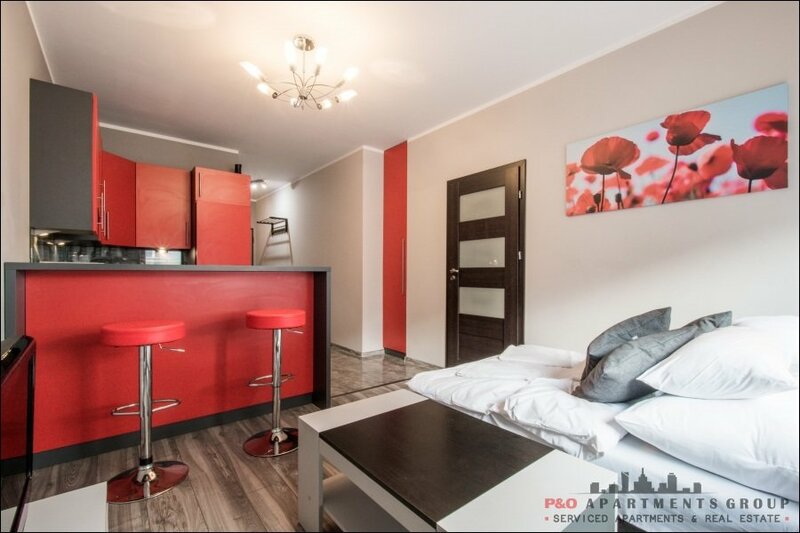 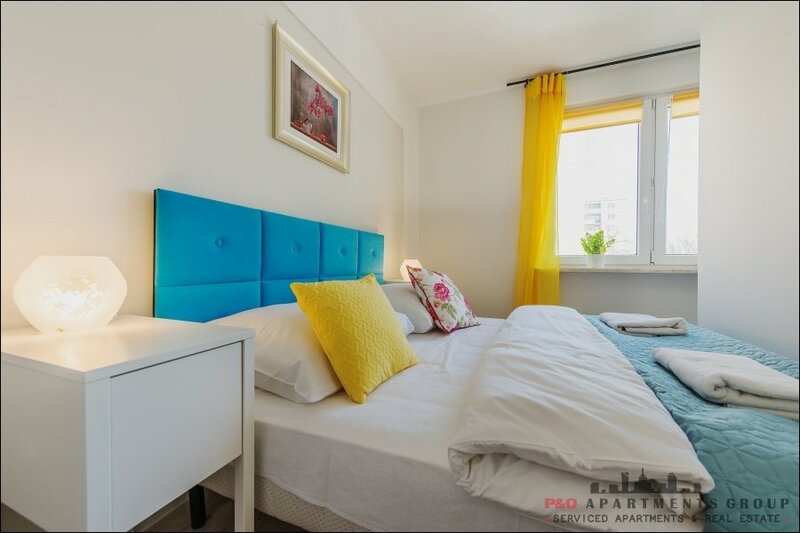 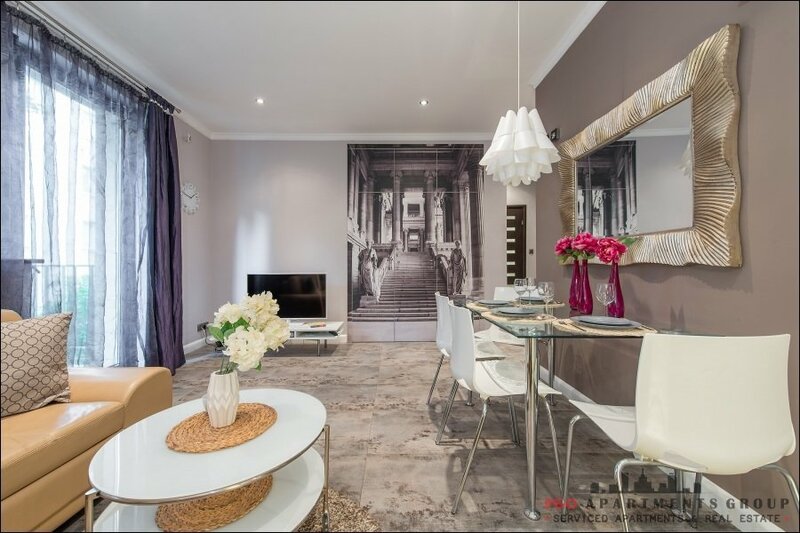 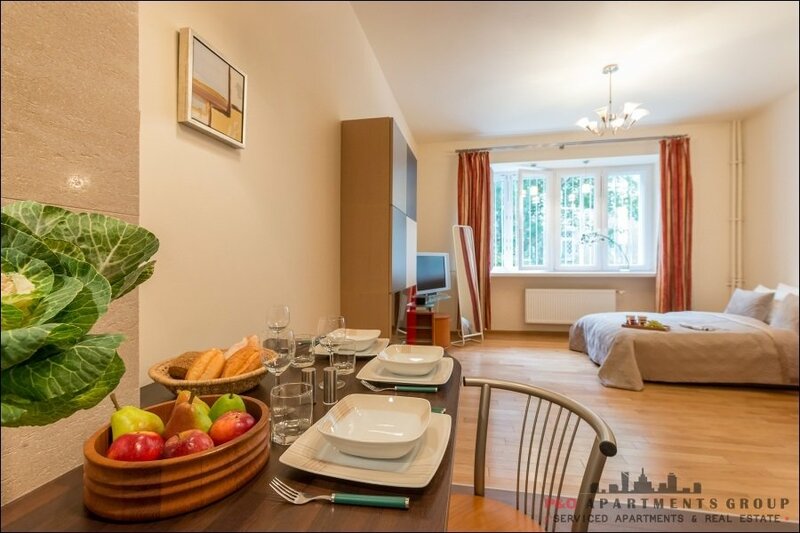 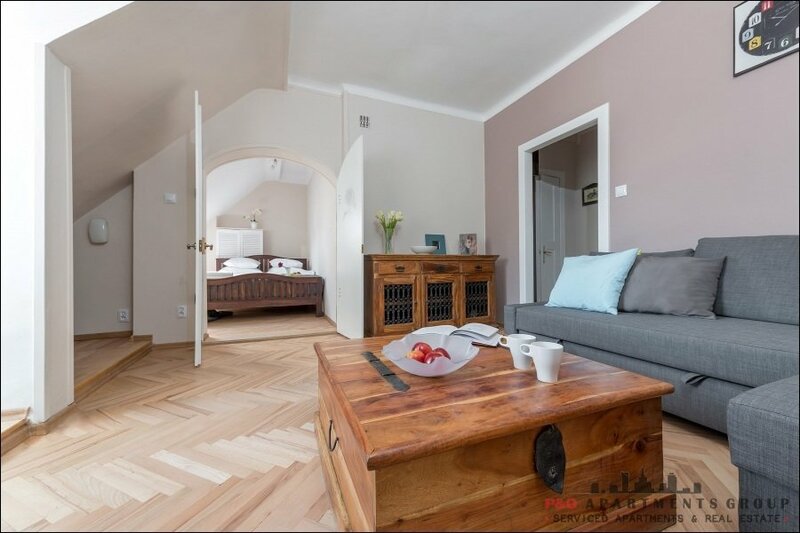 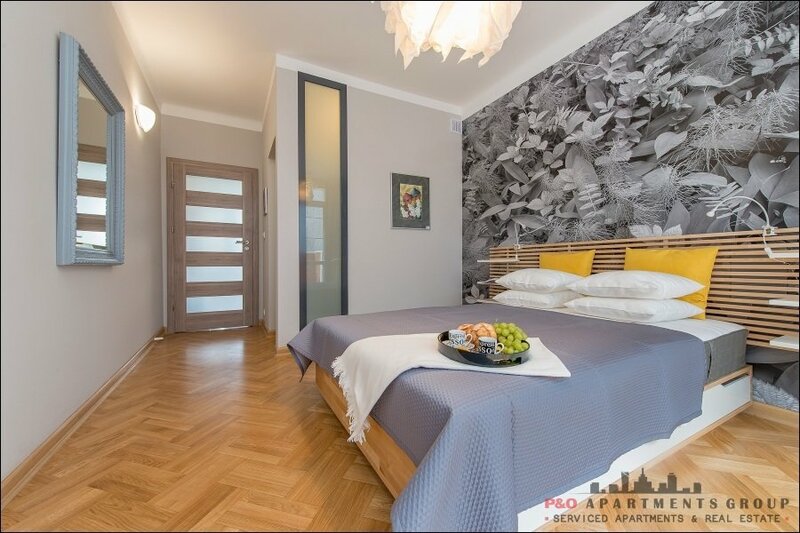 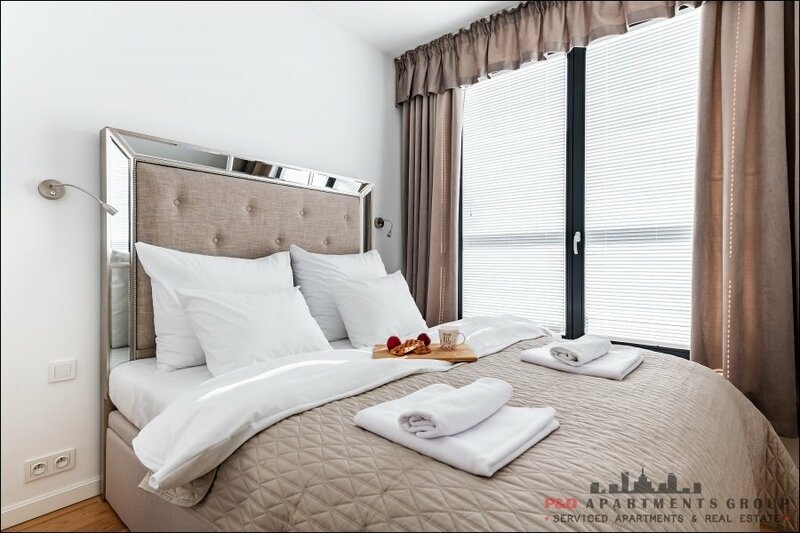 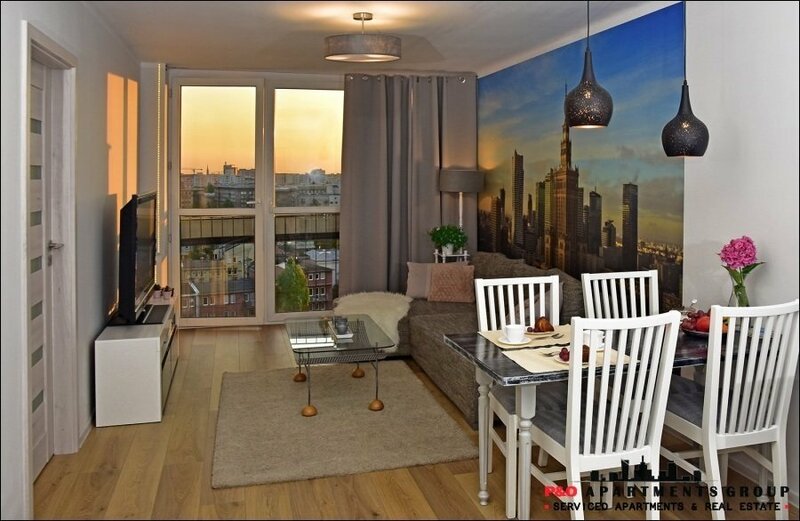 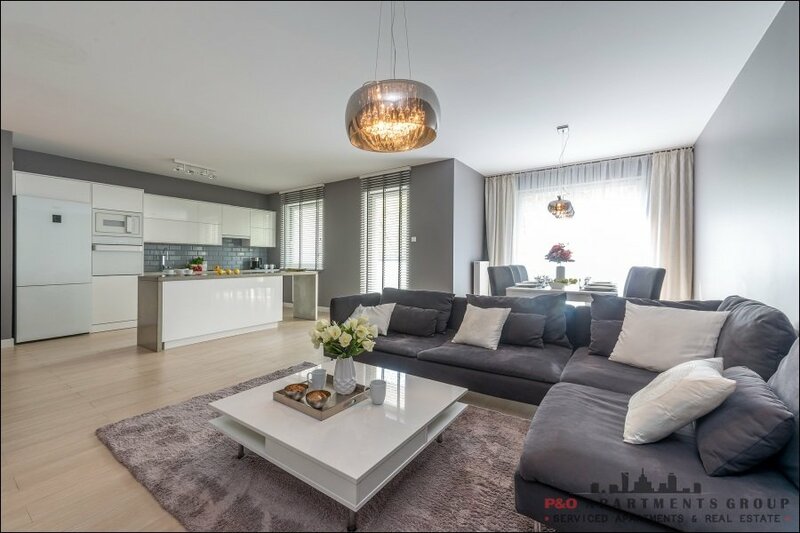 Elegant one bedroom apartment with a gallery of paintings by Tadeusz Twardoch, right in the center of Warsaw. 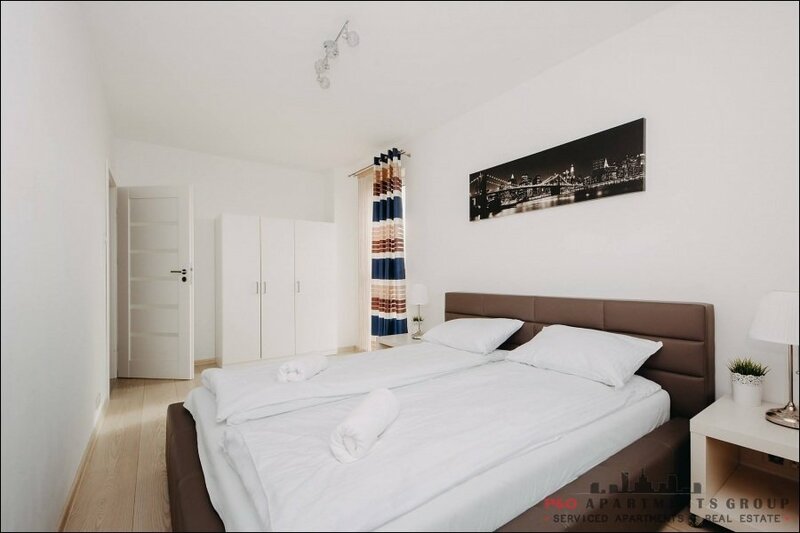 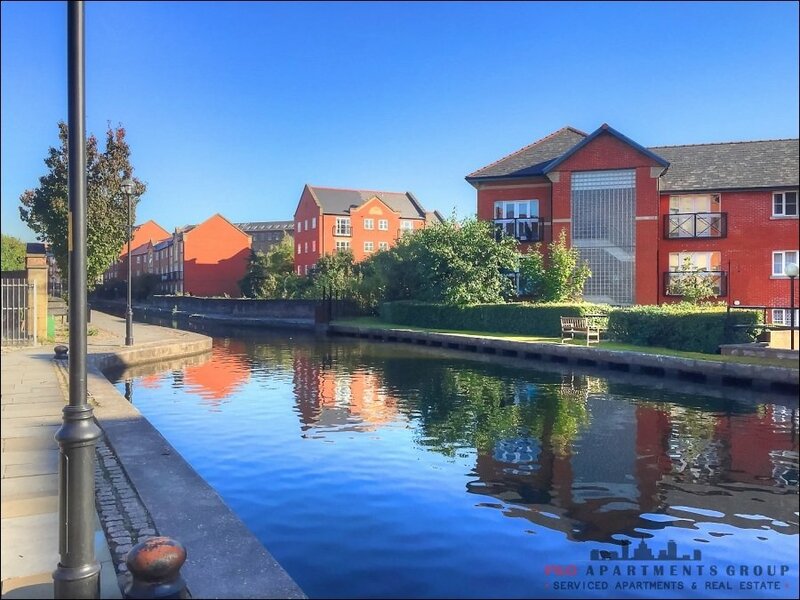 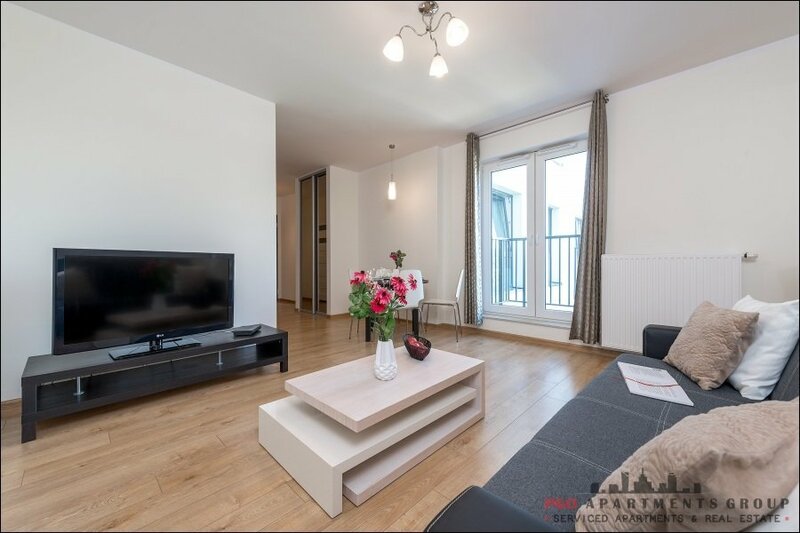 A place to sleep for four people, double bed in the bedroom, large sofa bed for two people in the living room. 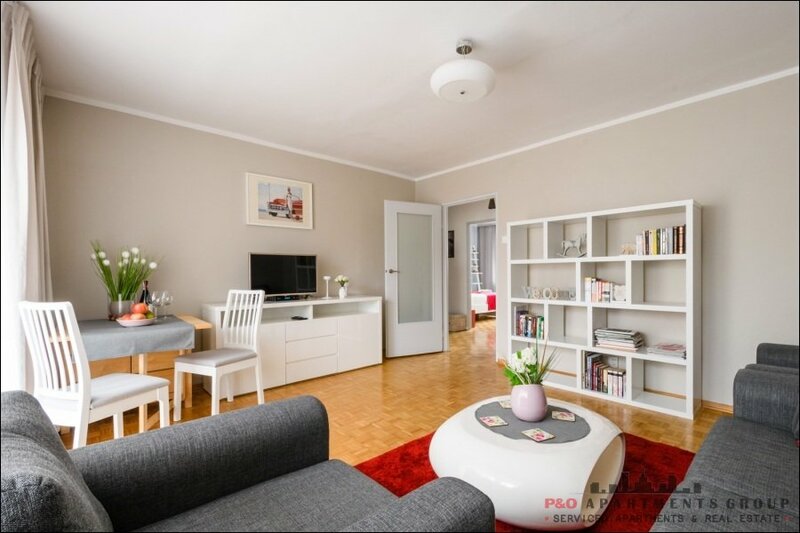 In the living room table for 4 people, internet (wifi), TV. 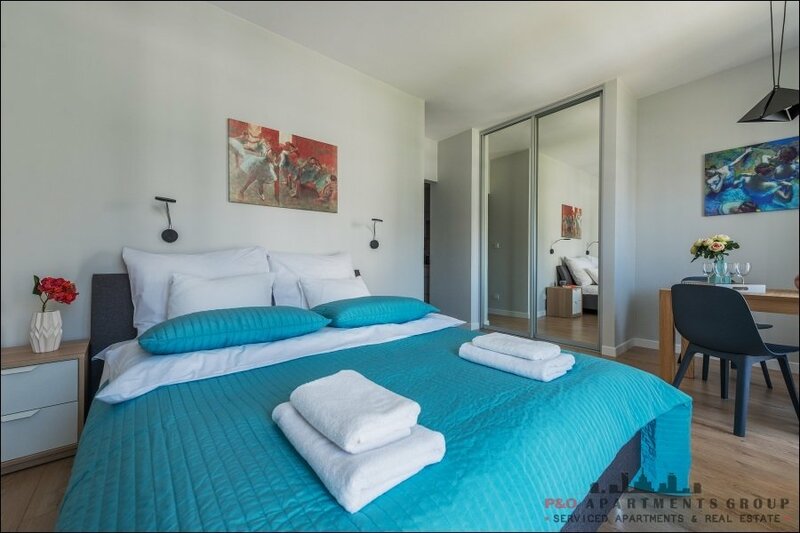 The bedroom has a one double bed. 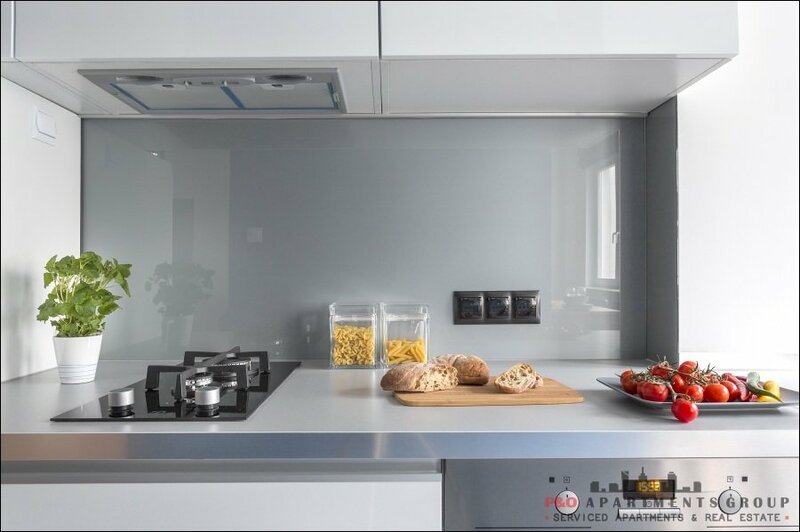 Fully equipped kitchen allows you to prepare your own meals. 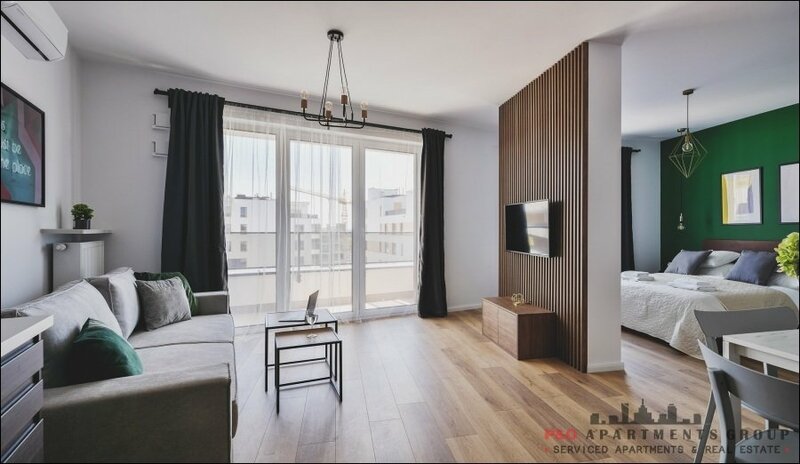 The apartment has very exclusive bathroom with shower. 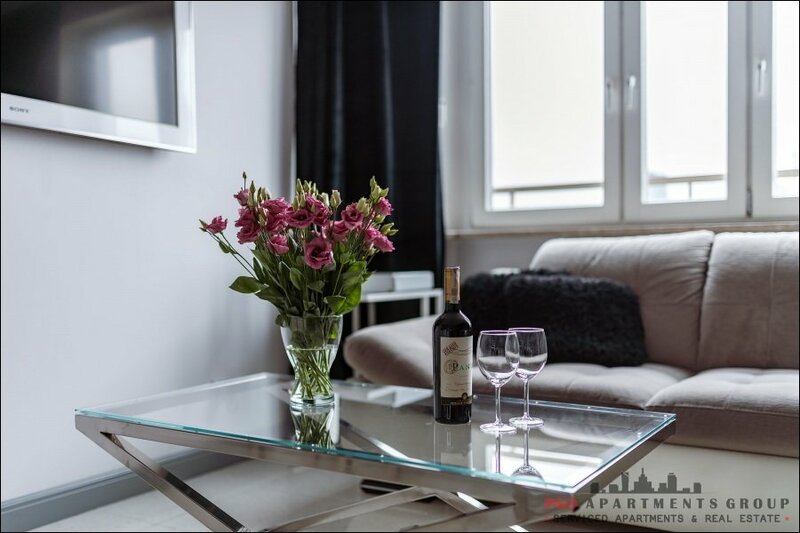 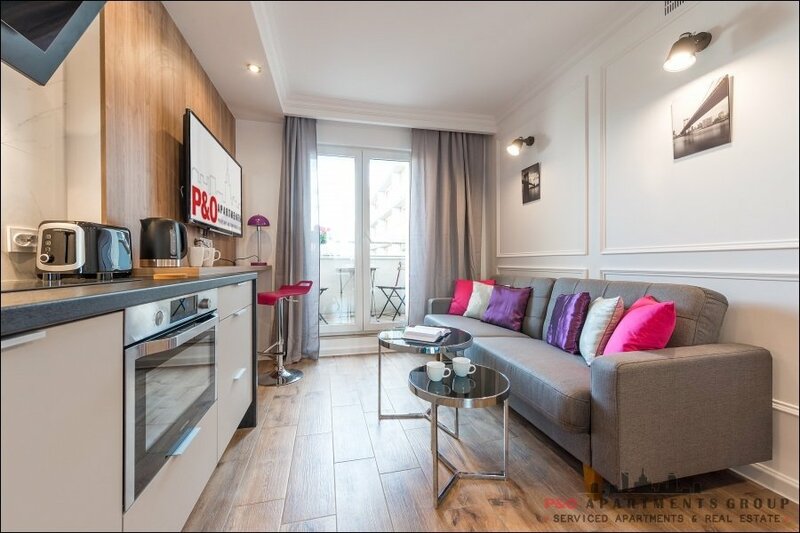 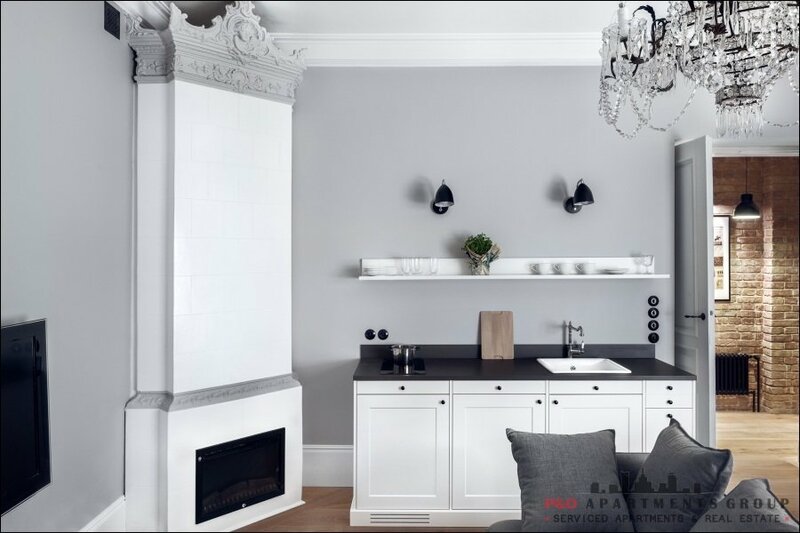 Interior of the apartment with original and modern decorations is really functional. 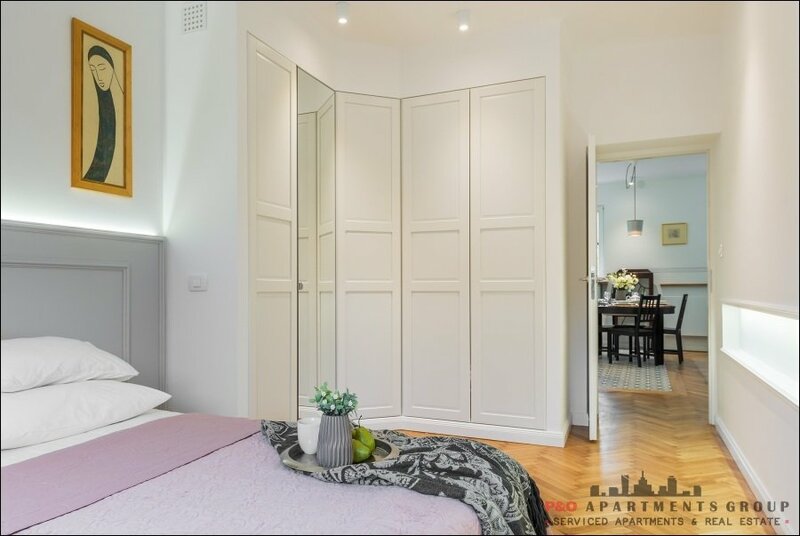 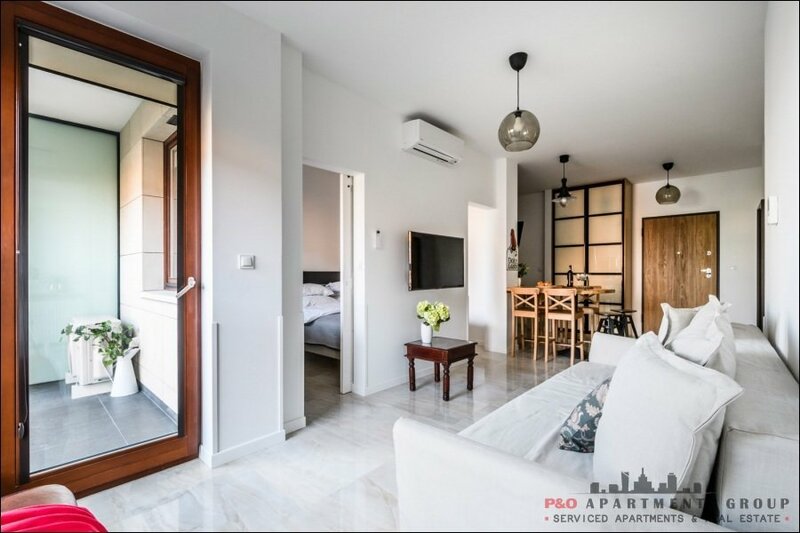 In the apartment you will find a spacious wardrobe for the guest.